The AIA plays an active role in the continuing education of its members. 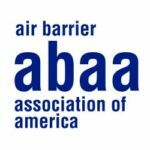 As such, the Air Barrier Association of America is a registered AIA Design Professional Provider. The Big Disconnect – The Importance of Wall to Roof Connections for the Air Barrier As more states, jurisdictions and the design community require air barriers, the issue of connecting the wall air barrier assembly to other building assemblies, such as below grade, window systems and roofs need to be completely understood in order to design and construct a functioning building enclosure. These courses are currently not offered online. Please fill out the form below, along with the course(s) you are interested in and our Training Department will contact you directly to discuss presentation options.